Could Autumn Be the Perfect Season to Buy a Home? 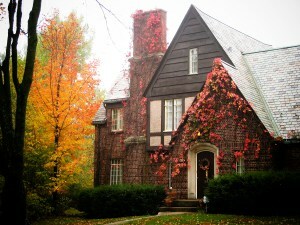 | Fournier Law Firm, Ltd.
Could Autumn Be the Perfect Season to Buy a Home? Summer has come to an end, but it certainly doesn’t signify the end of home buying opportunities for the year. In fact, fall is a season that brings many positive home buying possibilities and benefits. In an article published by Realtor.com, Margaret Heidenry lists several reasons why this time of the year might be the perfect time for buyers to make their move on purchasing a home. One significant reason to buy a home in autumn: home prices are lower. According to RealtyTrac’s analysis of home sales over the past 15 years, buyers in October have paid an average of 2.6 below market value. This compares to buyers making a purchase in April, who will pay an average of 1.2 percent above market value. Read the article for additional information about the benefits of purchasing your home after the peak season.